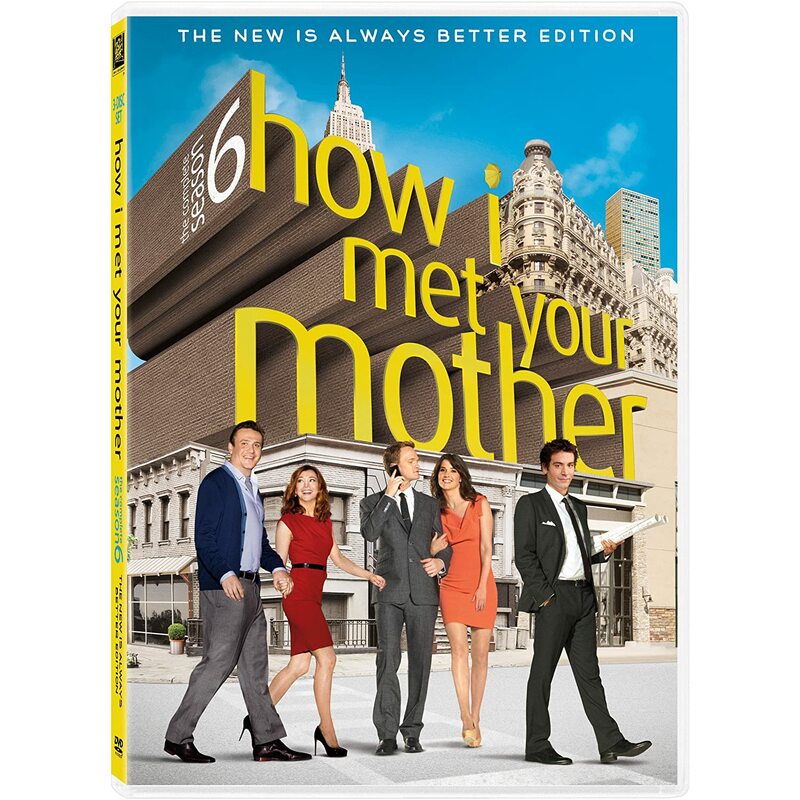 Quick Take: How I Met Your Mother, "Bad News"
Review: How I Met Your Mother, "Bad News"
(S0613) I’m going to start this off with a spoiler warning: there’s a rather significant turn of events in the final moments of tonight’s episode, so if you haven’t seen it and want to be surprised, this review is probably not for you. But really, you've arrived at a review for How I Met Your Mother somehow, so you probably knew what you were getting into. Tonight’s main story involved Marshall and Lily’s struggles to conceive a child. The story did exactly what you’d expect it to: she finds out she’s perfectly fertile, so he worries that it’s his fault and is afraid to tell his parents that he might not give them a grandchild. Some masturbation jokes ensue (he has to fill the cup for testing, of course), and ultimately everyone has a reassuring heart-to-heart before he gets the news that everything is fine. It wasn’t terribly original, but there were funny moments and it was altogether a solidly average episode. And then Marshall’s dad died. What? That’s not supposed to happen on this type of show, right? It’s not unprecedented for sitcoms to deal with tragedy, but this came completely out of nowhere on the heels of a rather silly episode. An argument could be made that the moment wasn’t earned, but to me this made it even more emotionally stunning and powerful. It was a punch in the gut to see Marshall get this news, and I think it’s the most emotionally affected I’ve been by a single scene on TV this season, because the contrast was so sharp. "I'm not ready for this," Marshall says as the show fades out, and that's really how it felt as a viewer to have that moment arrive so abruptly. Give credit to Jason Segel and especially Alyson Hannigan, who crushed the scene and showed the type of range this show rarely allows. I should also acknowledge the countdown that ran throughout the episode by way of numbers placed in the background of various scenes. This was actually kind of distracting once I noticed it, but it was an interesting device to foreshadow a big event. How this story is handled going forward will be intriguing to witness. This is a comedy, after all, and while it infuses heart and drama better than most, it’s hard to imagine how the follow-up episode finds much humor in this situation. I’ve been enjoying this season, so I’ll trust the writers to knock it out of the park, but it’s going to be a challenge. Regardless of what happens, I’m thrilled that Marshall and Lily finally have something else to play outside of their baby arc. This should be a real turning point for their characters. Now that I’ve written three paragraphs about the final 30 seconds of the episode, I should acknowledge that there were some other noteworthy things going on. The running doppelganger gag is finally completed with the discovery of Barney’s lookalike in the form of a fertility specialist (who Marshall and Lily initially assume is a ruse by Barney to get a peek at Lily’s goods). This was good for a few laughs and some misunderstandings, but I’m not sure it lived up to its comedic potential. Meanwhile, Robin reunites with her old co-anchor Sandy (Alexis Denisof) at her new job, and he makes her life hard by revealing some of Robin’s embarrassing caught-on-tape moments from her past. Of all of Robin’s annoying coworkers, Sandy is one I actually kind of liked, so it was cool to see him again. What did you think of the episode and its twist? Were you moved like I was, or were you annoyed at the show pulling a dramatic stunt? Comment away! I'm reminded a bit of another Hannigan show here... believe the Buffy episode is called "The Body" where Buffy's mom pretty suddenly dies. It's jarring as the rhythm of a show where we're used to a typical blend of horror/comedy/camp is disrupted by a seeming "civilian" dying. It's a memorable episode on a great show because it played brilliantly against the episode's expectations (always a sign of Joss Whedon at his best) -- surely Buffy and company were going to conjure some bizarro spell to save her mom and the day... but not so much.